The sickness came on suddenly and spread quickly. The fear spread even faster. Within weeks, everything people counted on began to fail them. The electrical grid sputtered; law and government collapsed-and more than half of the world's population was decimated. Where there had been order, there was now chaos. And as the power of science and technology receded, magick rose up in its place. Some of it is good, like the witchcraft worked by Lana Bingham, practicing in the loft apartment she shares with her lover, Max. Some of it is unimaginably evil, and it can lurk anywhere, around a corner, in fetid tunnels beneath the river-or in the ones you know and love the most. As word spreads that neither the immune nor the gifted are safe from the authorities who patrol the ravaged streets, and with nothing left to count on but each other, Lana and Max make their way out of a wrecked New York City. At the same time, other travelers are heading west, too, into a new frontier. Chuck, a tech genius trying to hack his way through a world gone offline. Arlys, a journalist who has lost her audience but uses pen and paper to record the truth. Fred, her young colleague, possessed of burgeoning abilities and an optimism that seems out of place in this bleak landscape. And Rachel and Jonah, a resourceful doctor and a paramedic who fend off despair with their determination to keep a young mother and three infants in their care alive. Slow at first. Get through the first couple of chapters...and then your hooked. This is an excellent read/listen. I was just disappointed in the ending and hoping there is a sequel on the way. This book, though good, left me wanting. There was not enough explanations, details and too much time spent on certain characters. It seems to me this might be a set up for a second book but if one is not coming, don’t waste your time listening to this. This was the first Nora Roberts book I’ve hated. I didn’t even finish listening to it, and did not regret removing it from my list. There needs to be a sequel!! Please? Great read! Looking forward to the next one. 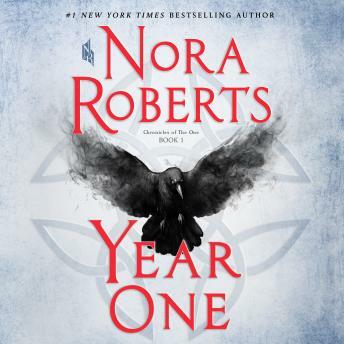 Because it’s Nora Roberts, it’s very well written and easy to read/listen. But, exactly because it’s NR, I have a feeling of expecting more. And the story resembles to the bibble. So, I hope more surprisingly good writing to the sequel! I loved this book. One of my favorites in a long while. Can’t wait for the next one.